If you have been a vegetarian for any amount of time, I am sure that you are used to the constant barrage of questions and comments about your choice of eating habits. (Let me apologize in advance for those comments from people.) The truth is most people are well-meaning but woefully misinformed. The vast majority of vegetarians have done extensive research on their dietary choices both before and during the transition to vegetarianism, assuming you were not raised as a vegetarian. Pregnancy does bring some changes to everyone’s diet, even if you are vegetarian. Though the changes may not be as drastic as you or others think they might be for the vast majority of vegetarians who have based their diet on science. What pregnancy does change is your desire to make sure that you are doing everything as well as you can to ensure a safe and healthy pregnancy for your baby. While many people will try to scare you into eating animals products that you don’t wish to eat, for whatever reason, it is not necessary. Some women who have been vegetarians may be surprised that they do crave animal products like steak, it’s your call if you choose to eat it. You will not be harming yourself or your baby if you choose to ignore it. By eating a rainbow or variety of foods, you will help ensure that you are getting the nutrients that you need from your plant-based diet. The various colors of vegetables and fruits are ways to help remind you what vitamins your diet has been rich in lately. While you may have heard that you’re eating for two — that’s not right away. The first few months of pregnancy, the first trimester, are not the spot where you need extra calories. Save the 300 calories a day for the second and third trimester. Yes, protein is important. It is the building block of every cell in your body. That said, you can get plenty of protein from a plant-based diet. If you are a Lacto-Ovo vegetarian, meaning that you eat dairy and eggs, you can also use these as sources of protein. The foods that most vegetarians point to as being high in protein are nuts, nut butters, legumes, and tofu. Iron is important in pregnancy to help promote health and avoid anemia. 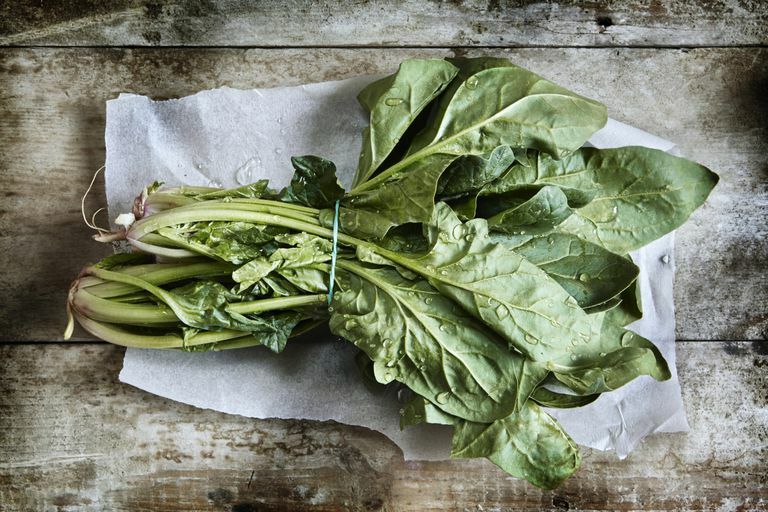 Dark leafy green vegetables are high in iron, as are dried apricots, sweet potatoes, pumpkin, etc. Baby spinach in a fruit smoothie — it’s delicious and a great way to help ease a queasy stomach too. Vitamin C is important for a healthy body and therefore pregnancy. You can certainly find vitamin C in citrus, like oranges, but it’s also found in strawberries, broccoli, green peppers and mustard greens, to name a few. Vitamin B12 is found in many eggs and dairy products. If you are a vegan, you will want to talk to your doctor or midwife about potential supplements. You may or may not decide to supplement, but it is worth a discussion with your practitioner. Assuming you’re not a vegetarian who avoids fruits and vegetables (Don’t laugh, they are out there! ), you should be able to have a happy and healthy pregnancy with very little change to your diet. The other rules of the road apply to you, including eating the freshest produce available, adding snacks if you’re having trouble eating three meals a day, either because of nausea or other issues. If you have questions, don’t hesitate to talk to your practitioner. If they aren’t well versed in vegetarianism, ask to see a nutritionist who is familiar with treating vegetarians, particularly in pregnancy.